I’ve always considered myself migratory. Being stuck in one place for too long drives me nuts. Before joining the Parks Conservancy, I was stuck. After a world trip following my college adventures, being stuck in New Jersey for an indefinite period of time was a nightmare. Taking long drives was a way to calm myself, but something had changed. Growing up, I had only occasionally seen red-tailed hawks in my hometown, but taking long, pointless drives up and down the state caused me to see these magnificent birds in a new light. Their numbers had increased in the few years I was away, and though small-dog owners hated seeing their massive brown wings, it was a sight that I grew to cherish. It became almost a game—how many red-tailed hawks could I spot on a single drive? How long would it take me to find another adventure? Little did I know these birds would follow me to the West Coast. Not that I knew it at the time, but their range is massive, spreading from the Pacific to the Atlantic, and their migratory patterns are much like mine—complex and climate-dependant. Months after my game started, I found a new adventure in San Francisco. I was offered an internship with the Park Stewardship Program, and though I was unsure about how I would fare in the extensive parks system, I was happy to find another part of the world to explore—and what a part it was. With mist-hugged mountains that rivaled New Zealand and a sparkling ocean that shamed the Scottish coast, the Golden Gate National Parks won my heart instantly. 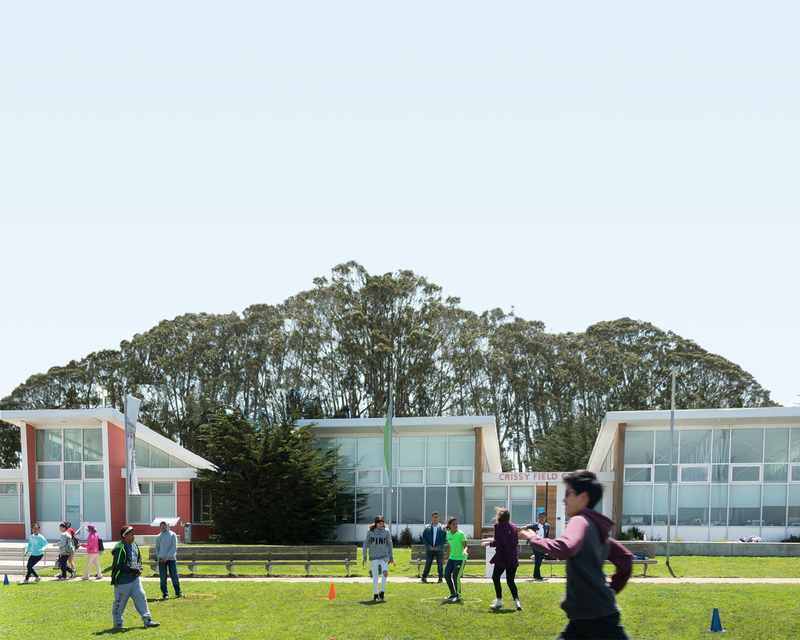 But if I had to pick one moment that dashed my insecurities and welcomed me to a new era, it would have to be the first time I helped lead a program at Lands End. While everyone was focused on the ground, weeding and helping to restore a coastal habitat to its former glory, my eyes were on the sky. Just when I looked up, I caught a glimpse of that beautiful red tail just hovering there, hanging out in one spot in the sky, and enjoying the breeze off the water. Home had followed me all the way out here. You see, red-tailed hawks are partially migrant, which means that only some, which live in colder regions tend to migrate and move south for the winter. The others, in more temperate environments, are content where they are. As I watched the pair of hawks looping and diving down the cliffs of Lands End towards the ocean, a connection to the animals sparked in me and I realized why I had always admired them. Just like them, I too was partially migratory. They didn’t represent a freedom I could never achieve, but a reminder that there would always be more out there. When things got too cold, there would always be a different, warmer place to visit. Whatever stagnation I felt could be easily mitigated. Later that month, when I mentioned the hawks to a group of volunteers, as if to show off, one of them spread its beautiful wings for us and swept over our circle. It’s like the hawks knew they had impacted me in an indescribable way, and wanted to punctuate the fact. As a new year approaches, full of possibilities, I think keeping an eye on the pair of red-tailed hawks at Lands End will continue to serve as a glorious symbol of that reminder. Change and movement are a part of life and sometimes it’s okay to just be partially migrant. Special thanks to Allen Fish of the Golden Gate Raptor Observatory for information on red-tailed hawks and Don J. Bartling for the use of his photo.